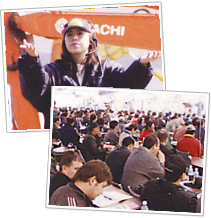 Unreserved Parade Auction is held at Sogo Auction yard in Narita, Chiba three time a year (March, July and November). All lots can be inspected by customers themselves. 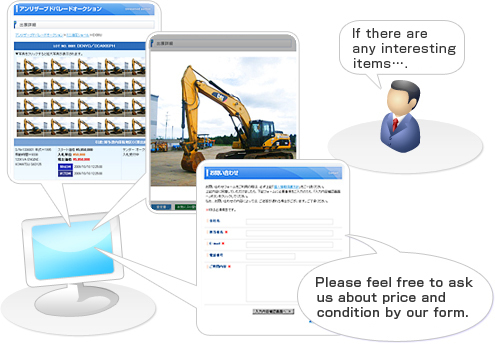 Auction machinery list with photos can be checked at Sogo Web Site. 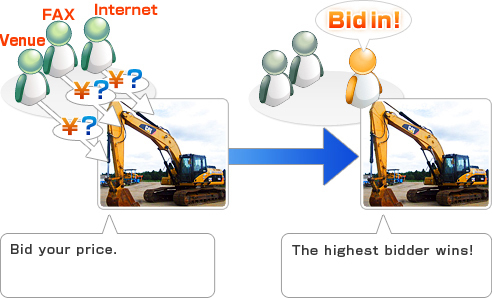 ※Internet bidding is NOT acceptable in Unreserved Parade Auction. You can check SOGO Corporation owned stocks at this site. Please feel free to click "inquiry" and send e-mail or call us, if there are any interesting items in our stock list. You can also add the item information to My Favorites. 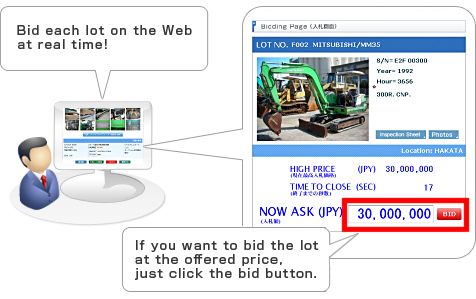 ※Internet bidding is NOT acceptable in the stock list. What is called closed "Tender Sales". Please bid your price by closing time. The highest bidder is the winner of the lot. The bidding price information can NOT be disclosed during tender auction. It is like parade auction held on the Internet. Each lot is auctioned one by one. You can NOT bid other lots in that time. Do not miss your bid chance, as bidding time for each lot is short. Common Internet auction (Bid-up) such as "Yahoo! Auction". You can make your bids on many lots any time as many times as you want by closing time.